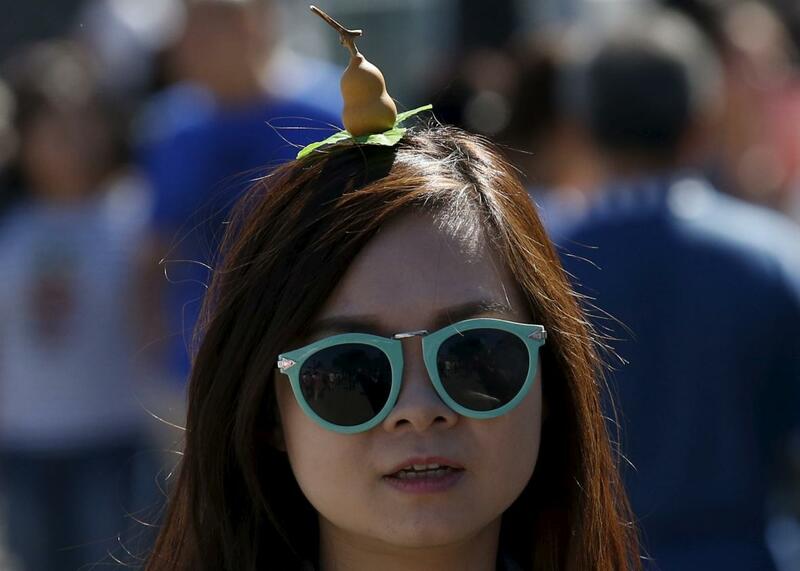 China bean sprout hair clips: Other plants and food items also involved. 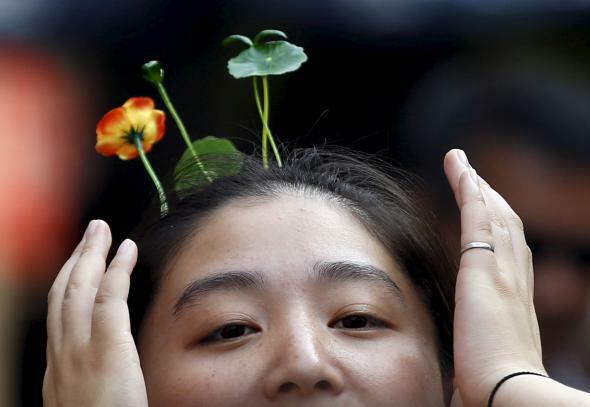 A woman wearing sprout and flower hairpins in Beijing on Sept. 16, 2015. 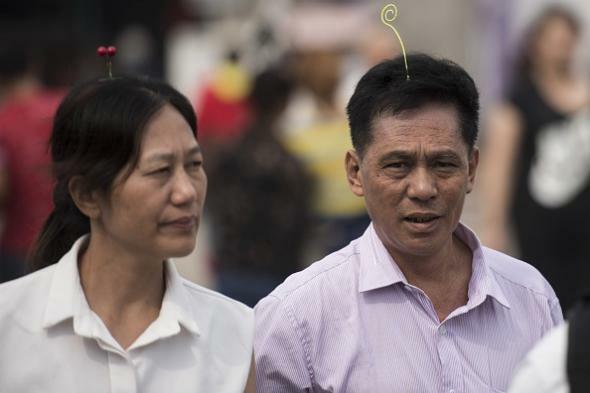 The New York Times reports Wednesday on an excellent new trend in China: People wearing hairpins that look like bean sprouts, cherries, flowers, and other plants. 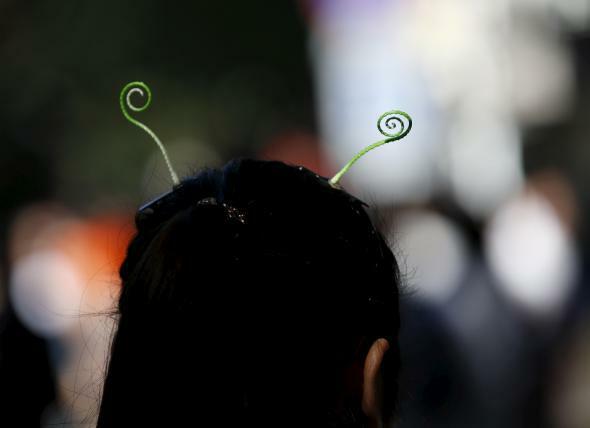 When the trend started a few months ago, it was usually just a humble bean sprout clipped to the hair and erect like a little green flagpole. … But as the fad ramped up, especially during the current National Day holiday week when Beijing fills with visitors, it has escalated and diversified to include a riot of plastic vegetation. Now heads are bristling with clover, sunflowers, chrysanthemums, lavender, mushrooms, chilies, cherries, gourds and pine trees. The photos above and below are from Beijing, though the Times says some believe the fad started in the city of Chengdu. This is an outstanding trend and the United States needs to get on board. Or should I say on gourd? Hahaha. Ha ha. Hahahahahaha.